For this week’s author interview, I’m pleased to introduce Benjamin Blake. Benjamin is a fiction writer and poet as well as a photographer of all things strange. 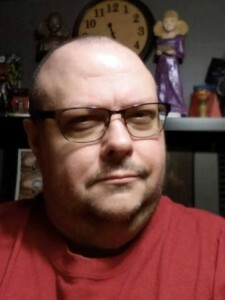 His collection, Southpaw Nights, appears on the Horror Writers Association’s 2015 Reading List, and Benjamin has received tons of great reviews on his fantastic dark verse and fiction. Recently, he and I discussed his inspiration as a writer as well as how weird places and ghosts influence his work. I have written most of my life in one form or another, but it wasn’t until a stormy autumn night about six years ago, in the basement room I was living in at the time, that I started to pen the first short story I had written since I was a kid. That was when I knew that writing was what I wanted to do for good. As far as favorite authors go, I absolutely love Ray Bradbury; his prose is so utterly poetic and he fires words at the page like bottle rockets. There is such a fervency in his writing. That really gets me. Also, Charles Bukowski – he never fails to entertain, and hits home truths that most people are afraid to think about, yet alone say. I could go on all day about authors, but others include: Stephen King, J.D. Salinger, Joe Hill and Neil Gaiman. You work in a variety of artistic mediums, including writing (both fiction and poetry) as well as photography. How is your approach to each different (or similar)? There’s definitely an undercurrent that runs through them all, which is mood, or feeling, or whatever you want to call it. And that is the genesis for anything that I create. The search for that particular poignancy. I also tend to think very visually, so that naturally crosses over from photography to writing. Fiction is certainly the hardest; poetry and photography can be fleeting snapshots of feeling, and while that can apply to flash fiction, or short stories, the longer prose pieces take a lot more structural precision. I recently finished writing my first novel, and while it shares many creative attributes with poetry and photography, there is definitely a huge side of novel-writing that is not inherent in the other two mediums. Much of your work leans toward horror and the darker side of life. 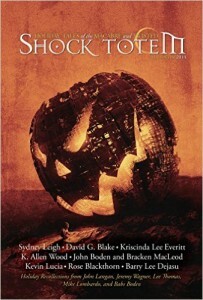 Have you always been a fan of horror, and what was your earliest experience with the genre? I have always been deeply in love with horror and the supernatural. It started with Scooby Doo (although I was always angry that the spooks weren’t actually real in the end), and went on to illustrated books about ghosts, and R.L. Stine’s Goosebumps. Though, my first introduction to the ‘adult’ side of the genre, was through the late night horror movies my mother would tape for me on VHS. Children of the Corn led to borrowing Stephen King’s Night Shift from the local public library, to seek out the short story that the movie was based on. I must have been about twelve years old at the time, maybe younger. I love that on your website, your bio includes the detail that you were born in a hospital that has since been demolished. The hospital where I was born hasn’t been demolished yet, but it is now abandoned (and supposedly very haunted). What do you think it is about abandoned and demolished buildings that keeps writers and readers fascinated? See, that got me excited just reading that question! [Concerning the supposed haunted hospital], that’s a testament to how true that statement really is. I think it’s a combination of things; the obvious history of an old place, the aesthetics, the excitement of exploration and the unknown, the possibility of seeing something otherworldly, and the classic horror movie setting – you’ve seen it a hundred times before on the screen (or read about it in books), and you get to experience it firsthand. There’s something immensely alluring in all that. You also mention in your bio that you believe in ghosts. Does the spirit realm often find its way into your work? Any otherworldly personal experiences you care to share? The spirit realm definitely finds its way into my work on a regular basis. There’s something so beautiful and tragic in the idea of ghosts. It really is a timeless subject, too. Humans have been telling ghost stories since the dawn of time, and will continue to tell them until our end. When next at the village, he mentioned the incident to a guy he worked with, who told him that back when the jailhouse was still functioning as a home, a man had hung himself out back from a plum tree. Out of your published works, do you have a favorite? I definitely have a soft spot for my first poetry collection, A Prayer for Late October. But I’d say my second published work, Southpaw Nights, a collection of prose and poetry, is my actual favorite. It’s my largest published work to date, and I’m immensely proud that it was able to come out in paperback. There are also a couple of stories in there that are among the pieces of mine that I am most happy with. Big thanks to Benjamin for being part of this week’s author interview series! Find him online at his website and his Facebook page. This entry was posted in Fiction, Interviews on December 23, 2015 by gwendolynkiste. 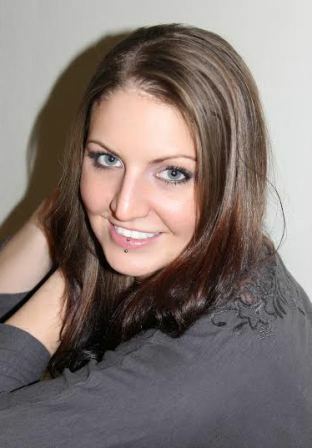 For this week’s author interview, I’m thrilled to present Rose Blackthorn. Rose is an incredible writer. Her amazing fiction has appeared in many of the top horror and fantasy publications, and as if that’s not enough, she’s a huge supporter of her fellow authors and one of the most approachable writers out there. Recently, Rose and I discussed her favorite authors, her approach to the craft of writing, and the best way to deal with rejection. I have been writing since my early teens, and in my twenties I actually wrote several (really bad) novels that I submitted to resounding and universal rejection. So, I guess I can say that I’ve wanted to be a writer for most of my life. But I didn’t start writing short fiction, and getting published, until 2009. There are so many writers whose work I love. To list just a few (in no particular order) – Stephen King, Dean Koontz, Charles DeLint, Patricia McKillip, Anne McCaffrey, Vonda McIntyre, Jo Clayton, Barbara Hambly, Marion Zimmer Bradley, Nancy Springer, David Eddings, P C Hodgell, Robert Jordan, Ursula LeGuin, and Anne Rice. What is your typical approach to writing? Do you have a set number of hours you write each day, or do you only write when inspired? I am a dedicated ‘pantser’. I rarely have more than a basic idea of where a story is going, and I think I’ve outlined maybe two things, ever. I usually start out with either a particular character, or a specific background/place, and build on them. I do not have set hours to write. I made a goal to write every day during NaNoWriMo, which I was able to accomplish, but I don’t always do so. I guess that means I write when I’m inspired – but luckily, that seems to be fairly often. I write to entertain myself, and so most of the time I really enjoy the time I spend at it. Since you’ve been in the industry for a number of years, you’ve probably faced some rejections along the line. How do you deal with hearing no, and do you have any advice on coping with rejection for those writers who are just starting out? I am a very emotional person – I have been known to cry at commercials. So in the beginning, every rejection was personal and a deep wound. In fact, I gave up submitting entirely for several years because of rejections I had received. This was back when I was younger, before I had friends who were authors or editors, and before I realized that rejection is just a part of the business of writing and submitting. I have finally gotten to the point in my life where (most of the time) I am able to simply take rejections in stride. There are still those that really sting, if it’s a story I strongly believe in or a market that I’m dying to break into. But for the most part, I pout for a minute, and then start looking for the next place to submit. The best advice I could give anyone as far as coping with rejection is this: As hard as it is, try not to take it personally. Taste is subjective, and what one editor or publisher doesn’t like, another might love. If you believe in your writing enough to send it out once, then you can do it again. Make sure you’re researching the market, and be sure you’re sending them something they are actually looking for. If someone says “No”, then find someone else to send it to. If you need to, make edits or revisions to improve the story before you send it back out. But don’t let any one “No” stop you from being a success. In addition to your incredible fiction, you also write equally fantastic poetry. How is your process different (or similar) for each? I write fiction with a place, or a character, that I’m drawn to or am curious about. What would this person do in this particular situation? What drives them? What is their goal, and how will they get from point A to point B? Poetry, however, is always about emotion to me. Regardless of subject matter or style, my poetry always comes from the heart. If I’m feeling happy, or sad, or nostalgic, that’s what goes into a poem. Because of that, I only write poetry when I am really feeling inspired, because it isn’t anything I can force. It comes when it wants to. Hmmm… That’s hard, because really I am quite fond of most of the things I’ve published! If I had to choose, I would narrow it down to these three: “The Olwen of the Wynne,” which was my first fantasy story published in 2010, and includes some of my favorite characters; “Bacon Rapt,” which is a zombie flash piece published in 2012 that I conceived, wrote, and submitted in less than an hour – and which was accepted that same day; and last “Through the Ghostlands” published in 2014 by Grey Matter Press, which I am actually working on expanding into a novella or novel. You’re consistently releasing such remarkable work. Any upcoming publications we should be looking for? I have two poems “Arbitration” and “Prescience” appearing in Chiral Mad 3 from Written Backwards which will be released in the spring. 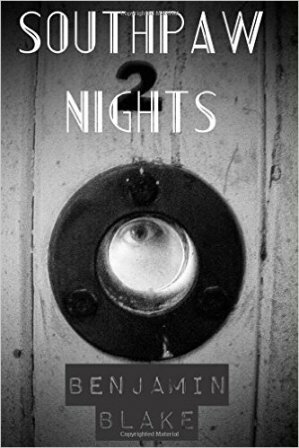 My story “Promises, Bliss and Lies” will be in the Fright Mare anthology edited by Billie Sue Mosiman, which will also be coming out in the spring. “The Bani Protocols” is my first attempt at military/sci fi, and will be included in SNAFU: Hunters coming out from Cohesion Press at the beginning of next year. I am also absolutely thrilled that “Through the Ghostlands” was chosen by fans of Grey Matter Press to appear in DREAD: The Best of Grey Matter Press Vol. 1, which should be released in March 2016. 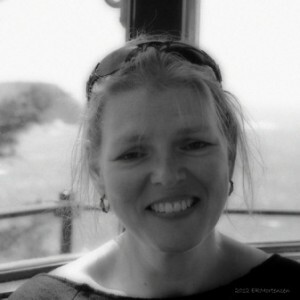 Big thanks to Rose Blackthorn for being part of this week’s interview. Find her on Twitter, Facebook, and Goodreads, and be sure to check out her main site as well as her Amazon Author Page! This entry was posted in Fiction, Interviews on December 16, 2015 by gwendolynkiste. It’s been awhile since I used this blog to discuss my fiction, which is odd since that was sort of my original goal when I set up the WordPress account last year. Fortunately, even when I’m not in the mindset to wax on and off about my latest stories, the author interviews are enough to keep the blog afloat (and to be honest, the interviews have become one of the coolest components of my weekly activities, so there’s that too). However, for today, let’s get back to the basics, shall we? For those of you who have yet to read the tale, “Something Borrowed, Something Blue” deals with birds and childbirth. As in, a woman gives birth to birds, including a plucky bluebird called Matilda. It’s a weird story—a little bit fantasy, a little bit horror, a whole lot melancholy since I’ve been in an extra dark writing mood since, like, January. When it was finished, I realized I was really proud of this particular story, in part because I’m a huge fan of body horror. Franz Kafka’s The Metamorphosis remains among the pantheon of great horror stories in this fan’s opinion, and I seriously don’t think I could ever watch David Cronenberg’s The Brood or The Fly enough times. In my previous stories, body horror has wriggled its way into the plots of “Flesh or Fantasy” (published in Sanitarium Magazine), “War Wounds” (published in Robbed of Sleep, Volume Three), and “A Certain Kind of Spark” (published in Shadows at the Door). However, in none of those tales was there the disturbing intersection of body horror and some kind of non-human animal. Cronenberg, you’ve schooled me well. To top it all off, I sincerely adore the magazine in which the story appeared. Three-Lobed Burning Eye has long been on my shortlist of publications where I hoped to one day sell a story. Everything about the magazine is fantastic, from the tagline (“Stories that monsters like to read”) and the always awesome cover art to the insanely impressive list of past contributors (Wendy Wagner! Sunny Moraine! Mari Ness! E. Catherine Tobler! Cat Rambo! Laird Barron!). I went back and forth on whether or not to submit “Something Borrowed, Something Blue,” because after reading scores of stories in previous issues, I still wasn’t convinced it was a good fit. Again, I personally love the story, but there is no story that belongs in every market. But ultimately, I decided to take a chance, and it paid off. As part of each issue, Three-Lobed Burning Eye includes audio version of its fiction, so for the first time ever, I got to record one of my stories! That was so much fun, which just added to the overall awesomeness of the experience. So if you’re in the mood for a weird yarn about bluebirds, childbirth, and general grotesquery, then head on over to the latest issue of Three-Lobed Burning Eye. While you’re there, check out the other stories from fabulous authors like Kristi DeMeester, Vicki Saunders, and Jessica Reisman. Good, creepy stuff all around, and best of all, it’s Matilda-approved! This entry was posted in Fiction on December 11, 2015 by gwendolynkiste. For this week’s interview, I am pleased to present Dan Foytik. Dan is a writer and editor who manages numerous horror and fantasy podcasts through his company, 9th Story Studios. He and I have worked together on several projects, including The Wicked Library and The Lift, and Dan is one of those fantastic editors that makes you grateful to be a writer. Recently, he and I discussed his upcoming podcasts and where he sees his already booming career headed in the future. I think I’ve been a writer at the core since I was very young. I was lucky to have a mother who read to me constantly, and I also had books given to me quite often, and a grandmother who constantly told me stories about her experiences growing up on a farm. Looking back on it, I realize that my grandmother’s stories were really well structured, with villains, dramatic elements, inciting events and so on. 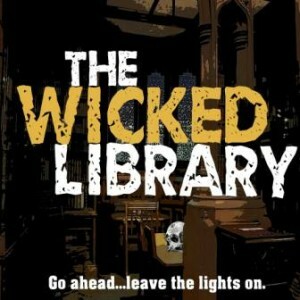 The Wicked Library is such a fantastic podcast. Everything about the project is incredible, from the specially commissioned artwork and your awesome narration to the major authors who have been involved, such as Neil Gaiman. Is it a challenge to keep so many moving parts working at any given time, and what has been the most surprising aspect of managing The Wicked Library so far? First, thank you! It’s always nice to hear the work is well received and enjoyed. The main challenge is always the time involved. An hour of finished show takes around 6-8 hours to create. And, in addition to my work (reading, narrating, editing audio, adding music, writing show notes, promoting on social media, and so on), there is also the time it takes the artists and authors to create, edit, and hone their work. A huge amount of work goes into making the show seem effortless and something worthy of the trust the authors place in me to interpret their work. But, it’s also a lot of fun to do, and a really nice way to build the community and connect the different creators. I’m pretty picky about who I work with, so while the coordination of everything can be a lot to manage, the professionalism of the creators makes it a lot easier. As to the most surprising element, I think it’s when I get an author who tells me some variation of “You really creeped me out/scared me with my own story” or “I finally understand why my character did [such and such] after hearing you do the story.” It’s more gratifying than I can explain to know I’ve brought something to life not only for the listeners, but also for the author. One of your recently debuted podcasts is The Lift, a complex shared world project that features a devious little girl and the hapless individuals who stumble upon the building where she lives. What inspired you to create The Lift, and what is your hope for the long-term future of the project? 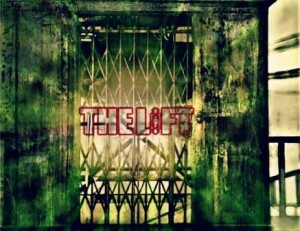 The Lift is the culmination of an idea I had while at a writing workshop with a few friends, including the show’s Co-creator and Executive Producer, Cynthia Lowman. Victoria already existed at that point as the “mascot” of my original show, 9th Story Podcast, and she grew in complexity and personality as the show progressed. I think of her as more impish than devious, she’s been at her task for well over a century, but at the core, she’s still just a 9 year old girl with all that entails. Ultimately, I realized there was much more I could do with her. I had this idea that the building she inhabits sits in a kind of broken reality where (like The Twilight Zone or Fantasy Island), unique scenarios or realities could be created to test, lift up, or punish individuals who either needed to change their ways, or needed help finding their ways. In that sense there are also elements of Dante’s Inferno, since each story of the building is reserved for certain vices. Long term, I’d like to see it on the level of a Welcome to Night Vale and something that crosses various forms of media. We’ve talked about doing an anthology of the first season and adding in a couple of bonus stories; there’s a graphic novel in discussion, but my focus right now is making the best show I can and getting the work of the writers, artists, and composers as much attention as possible. How has your work as an editor affected your fiction writing? My favorite piece isn’t actually traditionally published yet. It’s a short story called “Grey and Red” and it appeared on The Wicked Library in Season Five (when I was still simply a listener and fan of the show). It’s not yet appeared in print and was written as a gift for a friend. There are several things I did in the story as fun for me and the intended reader that worked much better than I could have hoped. Ah, the most dreaded job interview question ever created. I think I’d like to have a collection of my own short stories out there. I have plans to re-work a novel that’s been fermenting for years into a series of digital comics, and, if I’m shooting for the moon, I’d like to be talking to someone about a series on TV featuring Victoria and her Lift. While I’m no George Saunders, I’ve become very enamored with writing the short story, to the point I’m not sure I actually want to write a novel anymore. I do love the idea of a connected series of stories featuring the same character – which really isn’t the same thing as a novel. Never say never I suppose, but I have a number of ideas for stories that don’t feel novel length. I have far too many websites; I collect them it seems. The main “HUB” of what I’m doing is going to be 9th Story Studios at www.9thstory.com, it’s still being reworked and tweaked, but you’ll be able to find links to all my other projects from there including all the podcasts I produce like The Lift and Listen. It’s also where I’m going to be sharing samples of voice work and info on projects like narrating the audio books for Carrot Field and upcoming The Shadows at the Door Anthology. Big thanks to Dan Foytik for being part of this week’s author interview series. This entry was posted in Fiction, Interviews and tagged The Lift, The Wicked Library on December 9, 2015 by gwendolynkiste. Welcome back! This week’s interview goes in a slightly different direction from our usual programming. 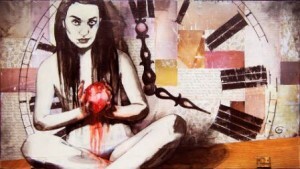 Tay Wetherbee is a visual artist currently based in Pittsburgh. However, this post still isn’t straying too far from my usual spotlight on fiction creators since many of Tay’s works take inspiration directly from literature, including the stories of Edgar Allan Poe. Tay and I met when one of her installations went up at Crazy Mocha in Pittsburgh’s Bloomfield neighborhood, and because I’m the weird girl at coffee shops who talks to random people and hands out her business card at every opportunity, she and I soon connected on Facebook. Recently, we discussed her background as an artist and where she sees her career heading in the future. I think, for me, I never made a decision to become an artist. I just was. I was born singing, dancing, and drawing. My decision to become a professional artist happened in high school after taking my very first art class. I “lettered” three times over in art that year. In competition, I received the honor of one of my paintings touring the entire state of Texas (where I grew up) for a full year. Then I sold my very first piece for $18,000 at 17 years old. My decision made sense and felt like the right path. The most influential artists in my life have been Robert Rauschenberg, Dave McKean (who many know as the illustrator for numerous Neil Gaiman books), and my college instructor in mixed media at Massachusetts College of Art and Design in Boston, Robert Maloney. 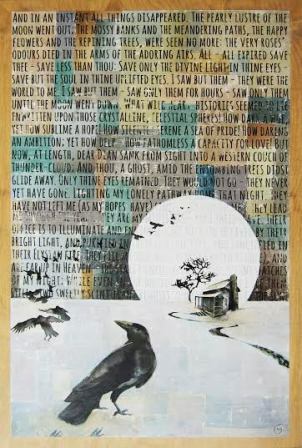 Your painting, “Tell Tale,” which is currently on display in Pittsburgh, takes inspiration from Edgar Allan Poe’s “The Tell-Tale Heart.” Do you often integrate literature or other elements of the horror genre into your artwork? I actually consistently use text and literature in my artwork. My art degree is in illustration, and while my work is largely considered “fine art,” my love for telling stories through art is still apparent in my work through use of quotes, lyrics, and sheet music, which propel and support what is happening in the images in the foreground. Additionally on a design level, I enjoy juxtaposing graphic elements of text with fluid ink painting. As for horror-themed literature, I have always been a fan of Edgar Allan Poe and am very much moved by the darker moments of Shakespeare. I plan to create many more pieces that are charged with those kinds of moments. Which medium is your favorite as a visual artist? I work in mixed media. This means every medium is within my reach. The most common mediums I work with are India ink, concentrated watercolor, a process called ink transferring, and acrylic paint. My surface of choice is reclaimed wood. I love to show viewers age and distress, like old nail holes in wood surfaces, which can be transformed into something beautiful and thought-provoking. This process is derived from my interest in the Buddhist teaching of Wabi-sabi, the aesthetic of imperfection. Where would you like to see your art career in five years? I will be taking commissions, participating in art shows, loving life, and forever creating, back home in Boston. Out of your works, do you have a personal favorite? I am partial to this postcard-sized piece I created on a whim in college, of a Ferris wheel, with haunting text torn from an old book. In a body of work that is mostly large scale, it’s the smallest of my works, yet so powerful to me. Do you have any upcoming exhibitions planned? Any other places where fans will be able to catch your work? Big thanks to Tay Wetherbee for being part of this week’s interview series. Find her at her website and on Facebook, Twitter, and Instagram. This entry was posted in Fiction, Interviews on December 2, 2015 by gwendolynkiste.